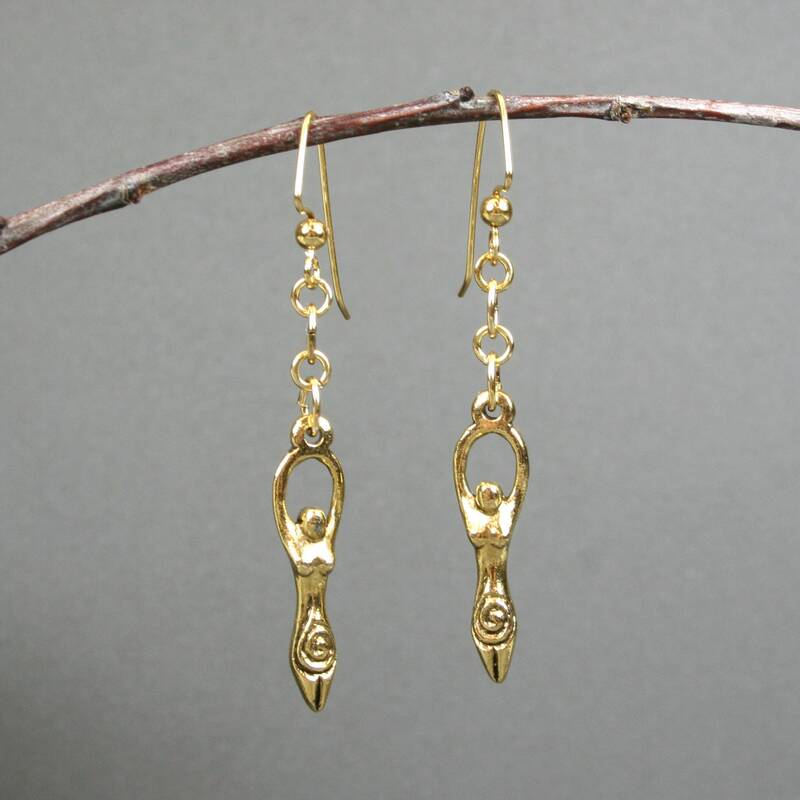 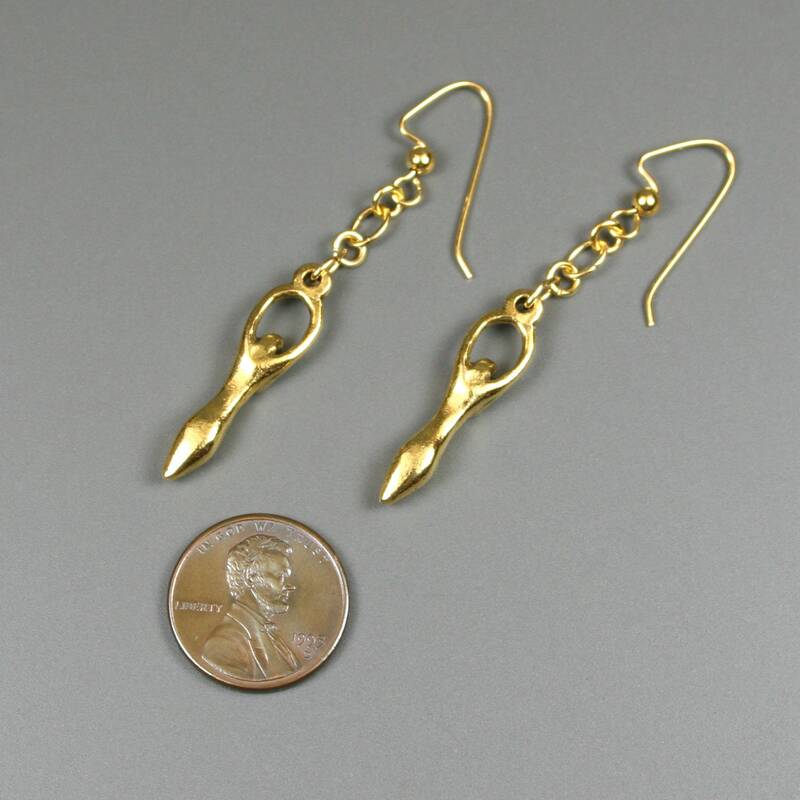 Each earring is made from an antiqued gold plated pewter goddess charm attached to a gold plated ear wire by a short length of chain. 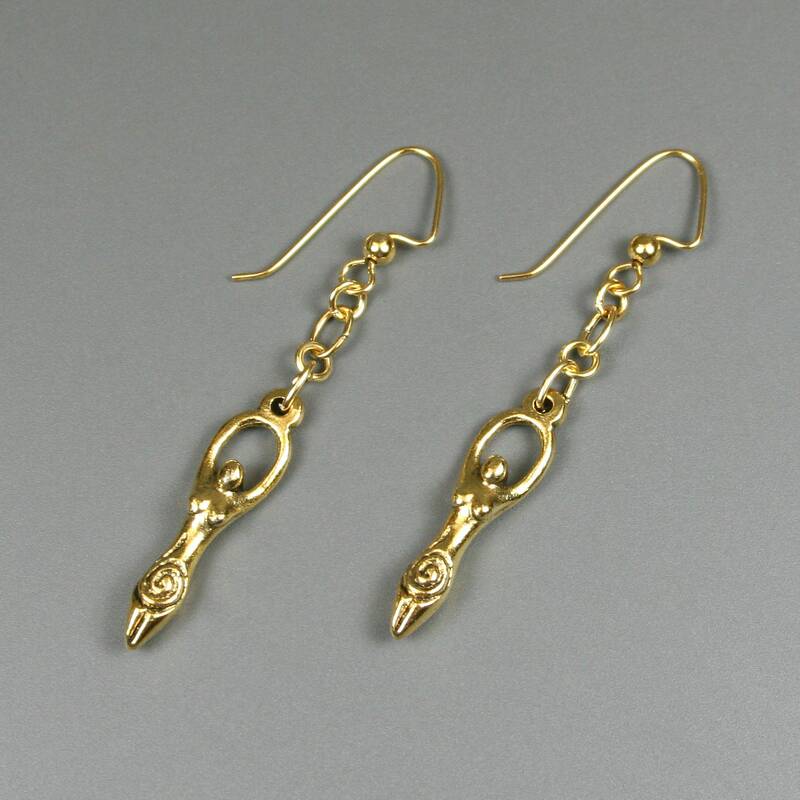 The goddess charms are 26 mm long and 7 mm wide and feature spiral decorations on the front (the back is plain as shown in image 4). 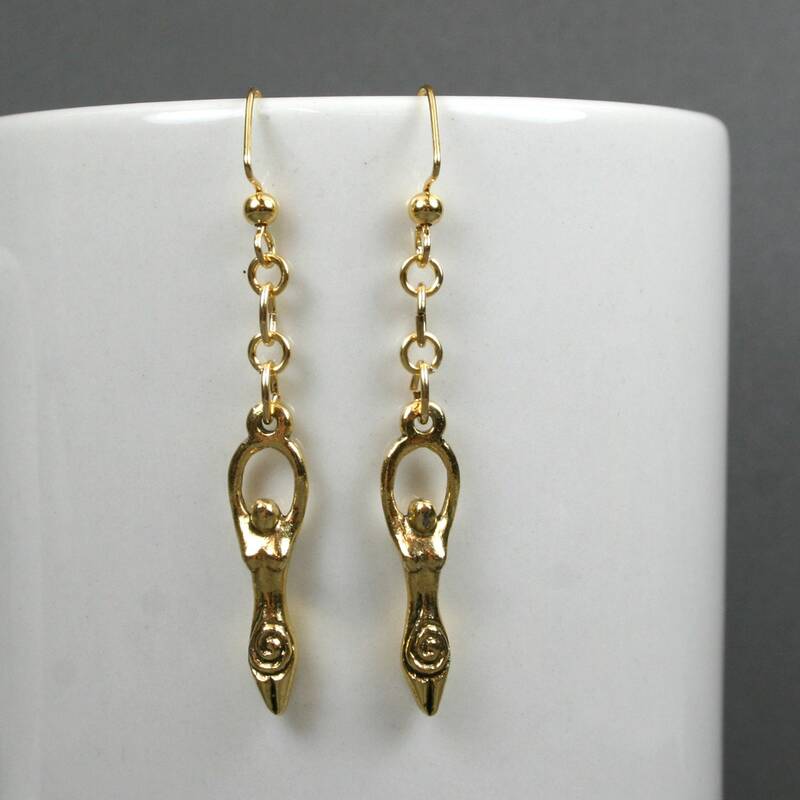 The bottom of the earrings dangle about 59 mm from the top of the ear wire.